Qais made his T20 debut in 2017. Afghanistan might have its problems in other walks of life, but the country never ceases generating young talents who are already making a mark worldwide. 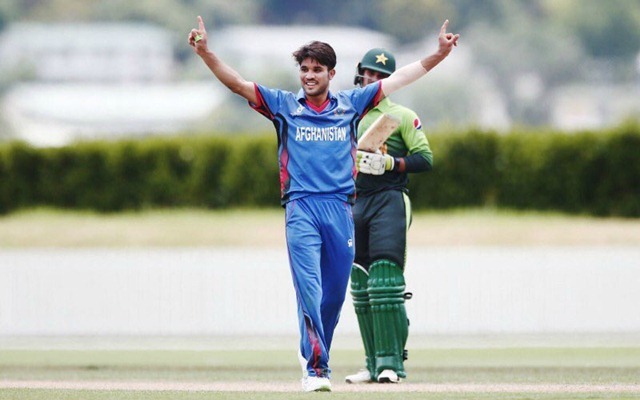 Following the likes of Rashid Khan and Mohammad Nabi, Afghanistan have seen several talents, some of them really young, impressing the cricketing fraternity with their skills and one among them is leg-spinner Qais Ahmad. The 18-year-old revealed that he has been signed by Hobart Hurricanes in the ongoing Big Bash League (BBL) in Australia and he will play the remaining part of the season replacing an injured Tymal Mills. Cricket Australia’s technical committee has approved Ahmed to join the T20 tournament. Qais made his T20 debut in 2017 and first-class cricket last year and has picked up 79 wickets overall in the first-class, List ‘A’ and T20 formats combined. The bowler is now playing for Rajshahi Kings in the Bangladesh Premier League (BPL) which will get over in a week’s time. The Kings have played all their league games and though ranked fourth at the moment, will depend on other match results to know if they can reach the playoffs. In a tweet, Qais announced his upcoming stint with the Hurricanes and thanked officials of Afghanistan Cricket Board for backing him to play the Australian tournament. “We’re delighted to secure the services of Qais for the back end of the BBL. He is another in the line of exciting Afghanistan wrist spinners and we’re sure he can help our already talented squad be successful come BBL Finals time,” said Jamie Cox, Cricket Tasmania’s talent manager. In the BBL, the Hurricanes are placed comfortably at the top of the points table with nine wins out of 12 games and are still to play in two games. Qais was also part of Afghanistan’s team in the Under-19 World Cup held in New Zealand last year and was his side’s highest wicket-taker. He has also played in the Caribbean Premier League and Afghanistan Premier League (APL) besides the BPL. He took a five-wicket haul for Balkh Legends in the final to help his side lift the inaugural title at the APL.